It’s not too much of a stretch to say that Peter Parker is the most extraordinary high school student of Queens, New York – if not the world. Imbued with heightened senses, super-strength, and great agility – not to mention those great responsibilities – Tom Holland’s Web-Head is a cut above his fellow students, and we know that next month’s Spider-Man: Homecoming will place a particular focus on Peter’s ongoing struggle to balance one life with another. 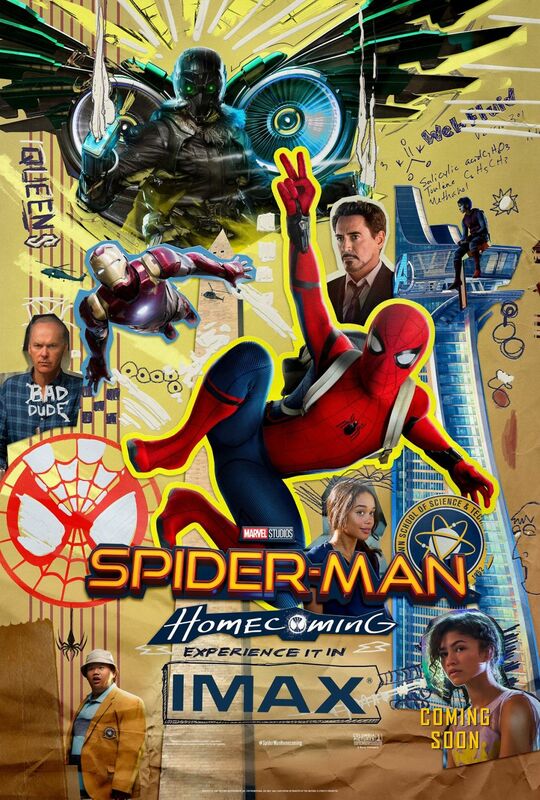 It’s a time-honored subplot of the Spider-Man universe, and with a July 7th release date closing in fast, Homecoming‘s all-new IMAX poster pays homage to Peter Parker’s time in education. Designed to be a high school scrapbook, this is arguably the most creative one-sheet of the bunch, and it even manages to cram in all of the film’s many characters – including Michael Keaton’s Adrian Toomes and Robert Downey Jr.’s Tony Stark, along with their armored alter-egos. Elsewhere, you’ll also catch a glimpse of Peter’s long-time crush Liz Allan (Laura Harrier), who may well complete the transition to Firestar in time for Homecoming 2, which is expected to scurry into theatres on July 5th, 2019. But long before that, director Jon Watts will introduce a new chapter to the Spider-Man lore, one in which Parker goes up against Michael Keaton’s Vulture and his posse of baddies (see: The Tinkerer and The Shocker). And all this while juggling homework and teenage romance. Peter Parker may be one of the most extraordinary students in all of New York City, but we certainly don’t envy his workload. 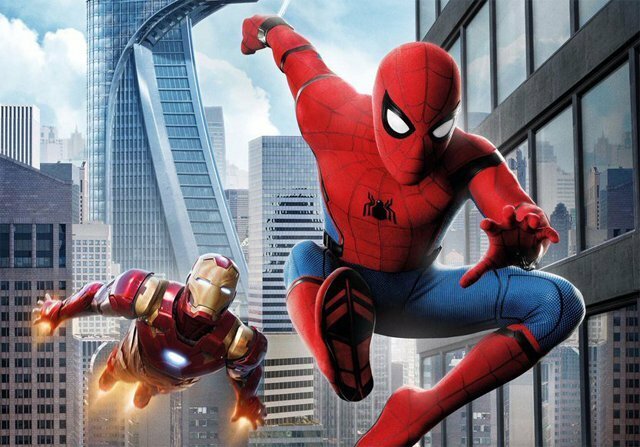 Look for Spider-Man: Homecoming to swing into theatres on July 7th. Providing the box office figures are to Marvel’s liking, and we’re inclined to believe they will be, Watts’ franchise reset will herald the beginning of an all-new Spider-Man trilogy, and that’s before you even factor in Holland’s upcoming back-to-back appearances in Avengers: Infinity War and its untitled 2019 sequel.